Sorry, The Tiny Report has been silent these past few days. I preparing to head to Toronto in a few hours for TCAF. This will be the first time I’ve traveled anywhere that I needed a passport to get to, so it’s taken some extra planning on my part. When I get back I’ll give a full report. 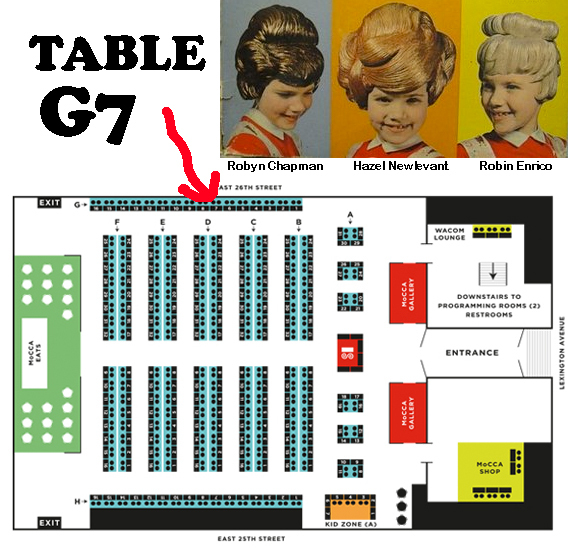 If you’re going to TCAF too, look for me at table 176. 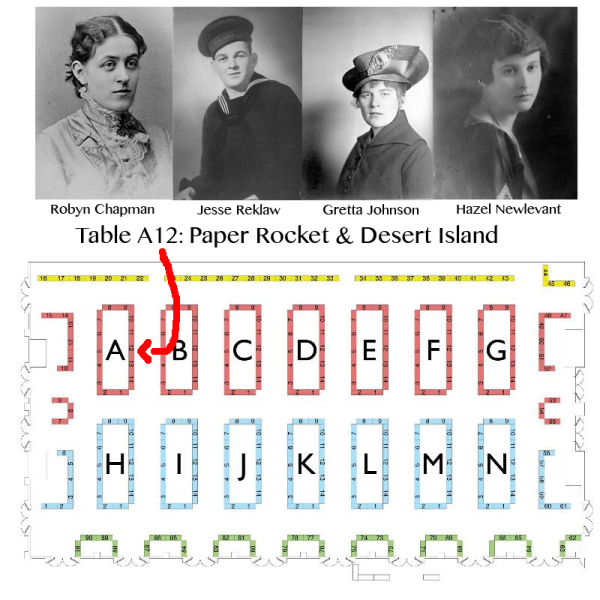 I created this handy map to help you find me and my table-mates. 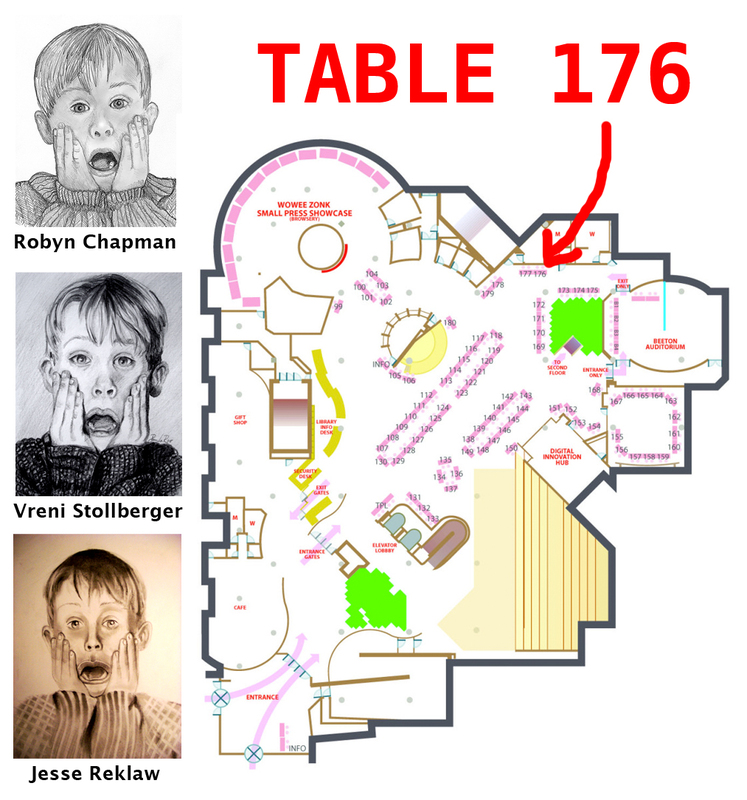 If you’ve never seen my silly little maps before, let me explain. 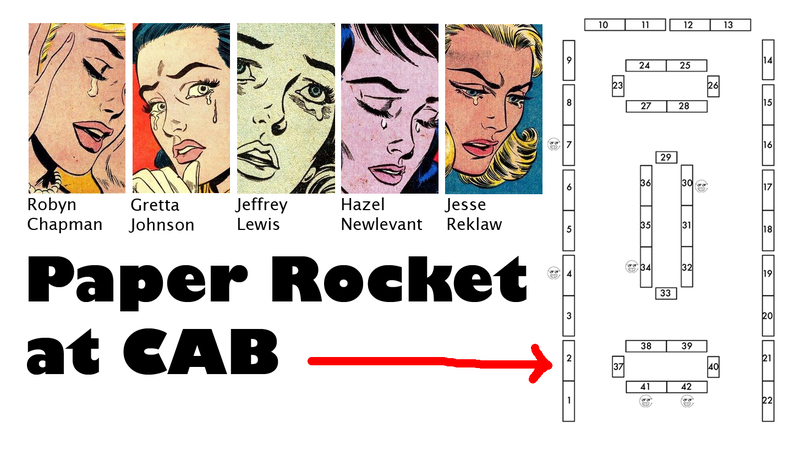 When I table at a convention, I usually make a graphic to help folks find me on the exhibition floor. It’s a pretty standard practice for publishers. I like to have fun with it, so I provide these fake portraits from images I find on the internet. There is isn’t any logic to it, I just find weird pictures and create a theme. Here are a few from conventions past.